Day 3 of the Sailing World Cup in Melbourne was "one of those days". Crazy conditions with gust up to over 40 knots and windshifts of more than 100 degree made it almost impossible to get any racing in. After all races were cancelled in todays first session for the Olympic and invited classes half through the scheduled racing, all competition was put on hold except the Formula Kite event which was the only class racing in the afternoon. Despite several attempts of the race committee to set a fair course in the rough conditions, only one race was completed with Florian Gruber taking the bullet ahead of Martin Dolenc and Scott Whitehead. Following start attempts had to be postponed before the start due to windshifts and storm squalls, or in the end, abandoned as the wind shifted 90 degrees only seconds after the start. After 13 completed races, Gruber is still in the lead with 11 points ahead of Martin Dolenc scoring 20 points and Ric Black in third with 37 points. Racing continues tomorrow with another 3 races scheduled, before the 3 non-discardable medal races on Sunday and the crowning of the 2015 Sailing Wold Cup Melbourne champions. Invited Class entries can be found here- http://www.sailingworldcupmelbourne.com/sites/default/files/V28%20Invited%20Class.pdf and results are available here - http://www.sailingworldcupmelbourne.com/2015-results-1. http://www.explorer-media.com/gallery/2015-Sailing-World-Cup-Media/G0000lY8DlLWRzxs/C0000qUgnTE9iC2c. The password to download imagery is SWC-Melb-2015. For high resolution imagery please contact the media team below. 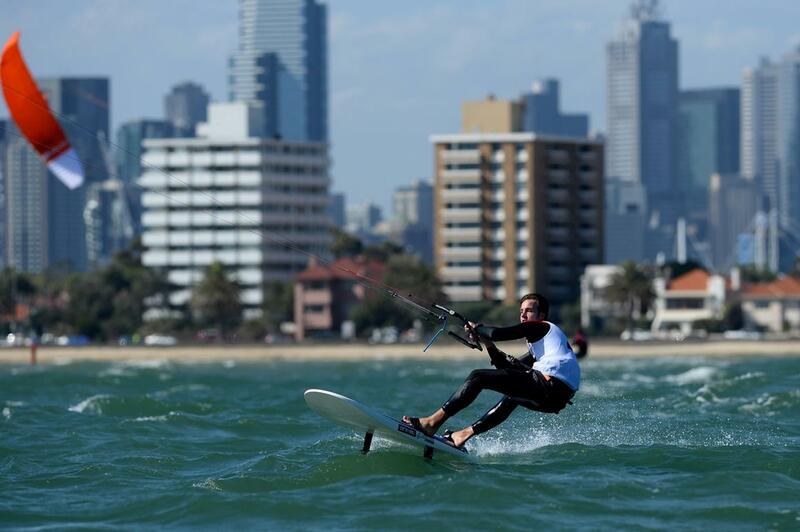 For all Press Releases for the Sailing World Cup Melbourne click here. Click here for the Sailing World Cup Melbourne media guide. The 2016 Sailing World Cup will consist of five regattas for all ten Olympic events and where possible, Formula Kite Racing. Qualification places for the Sailing World Cup final are up for grabs at each event. The final will bring together the top 20 boats in each Olympic event and an Open Kiteboarding event where the World Cup champions will be crowned.